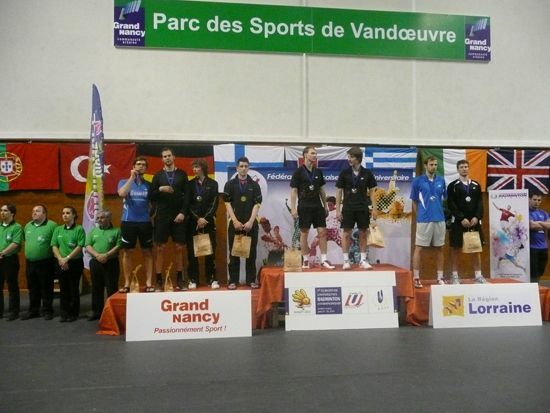 The 7th European Universities Badminton Championship, hosted by the University of Lorraine welcomed almost 200 players from 45 Universities from 15 European countries who came to the lovely region of Lorraine in the eastern part of France. 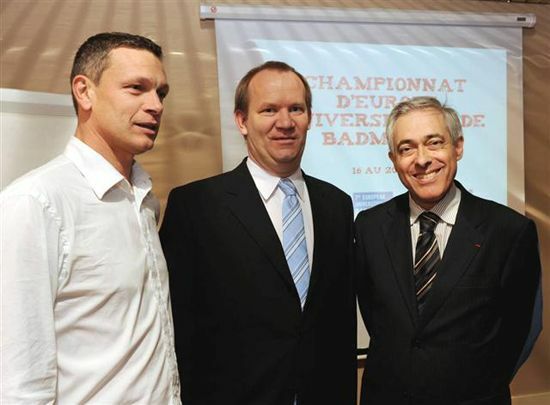 A guest university from Laval-Quebec (Canada) was invited to take part in this event and to strengthen the development of the Pan-American university badminton. The team event with a record breaking 21 teams took place on Wednesday and Thursday. Finally the tournament favourites and defending champion the University of Humanities and Economics Lodz (POL) won with 3:0 against the second seeded Kharkov Polytechnical Institute (UKR). 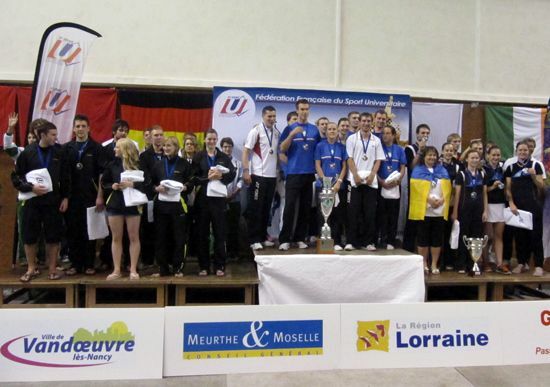 The bronze medals were won by Loughborough University (GBR) and the University of Saarland (GER). The Fairplay Award for the team event donated by Badminton Europe was won by decision of the referee / umpires by AGH University of Science and Technology Krakow of Poland. The individual event was played from Friday till Sunday. The EUC 2010 Organizing Commitee around Christophe Millard, Valentin Dupouey, Adele Lehoux and Arnaud Lanois organized a perfect tournament which is documented in a daily video journal, which can be found on Youtube (search for Badminton and Nancy). Beside the wonderful organized tournament and the kind volunteers the students enjoyed the old part of the city with the world heritage site Place Stanislas. Everybody loved the fantastic nightly illumination show which was projected on the city hall, where the opening ceremony was held on Tuesday. At the end the EUSA flag was passed to the University of Thessaloniki which will organize the 2011 EUC Badminton in June 2011, so see you next summer in Greece!